How do I make my Grapher graphs share axes? 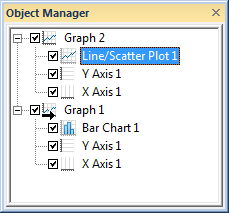 When a new plot is created using the New Graph commands, a new graph object is also created instead of the plot being added to an existing graph. 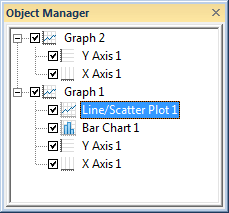 The new graph has separate axes, so the new plot and the old plot are not aligned properly. 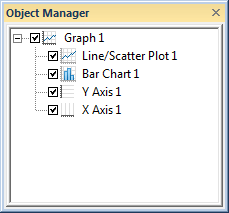 For example, in this image, both the bar chart and line plot are using the same data, but the axes will not align. 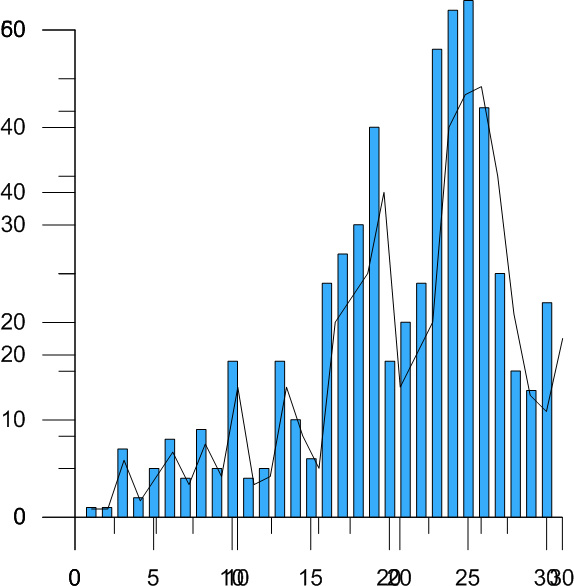 This graph shows a common example of unaligned axes. and the axis limits are different. If two graphs exist, click on one of the plots. This would be either the Line/Scatter Plot or the Bar Chart.Hold down the left mouse button and drag the plot into the other graph. When the cursor changes to an arrow, release the mouse button. The plot is moved to the other graph. 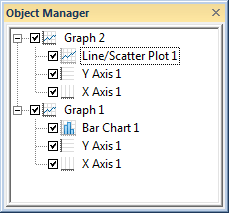 Click on the Graph that contains only axes (Graph 2) and delete it. The graph that remains contains 1 set of axes and both plots. The plots are now aligned on the same axes.